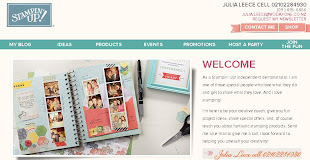 Julia's Cards: Big Shot Bundle WOWSER!!!! YES - NOW is the time to get your Big Shot!!! Stampin' Up! have released an AMAZING offer - order your Big Shot this MONTH and you can PICK one of the following five STAMP and DIE sets!! That is up to $130 of FREE product!! what an amazing offer!! You can pick either clear mount or wood mount of the 5 different bundles. But if you do already have a Big Shot and want to grab one of these stamp and die bundles Stampin' Up! have reduced the price of these by 15%! The reduced price is the amount shown in the below picture. I am putting an order in on Sunday night so contact me BEFORE 5pm to add your Big Shot to it so you can get your hands on this awesome machine as soon as possible. Remember this promotion is ONLY available thru August. One of the bundles is the Sumthin' With Bubble Words one and I used it with the below card in a box. 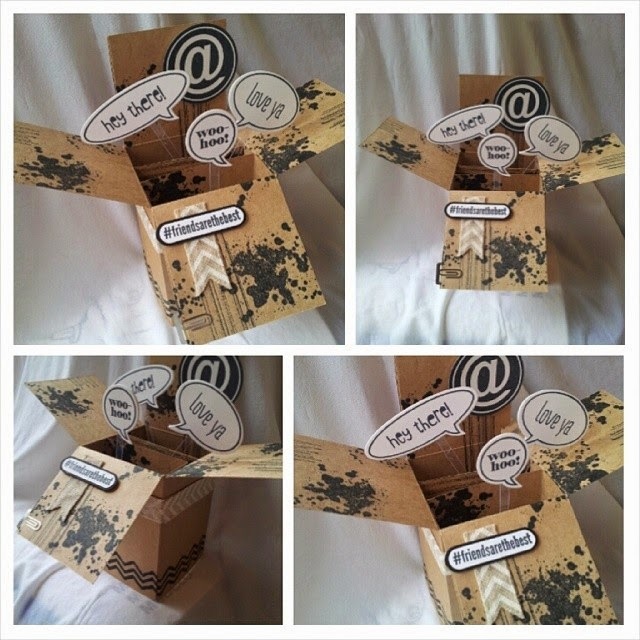 This cool box closes down flat and can be posted easily! cool eh!! This box is also made with a new Kraft card stock - available in 12" x 12" - so many possibilities! !